Heart disease is the leading cause of death worldwide, with the most common form resulting from coronary artery disease, which occurs when the blood vessels to the heart narrow or harden. Most people can decrease their risk by not smoking, being physically active, maintaining a healthy diet and body weight, and controlling cholesterol, blood pressure, and blood sugar. 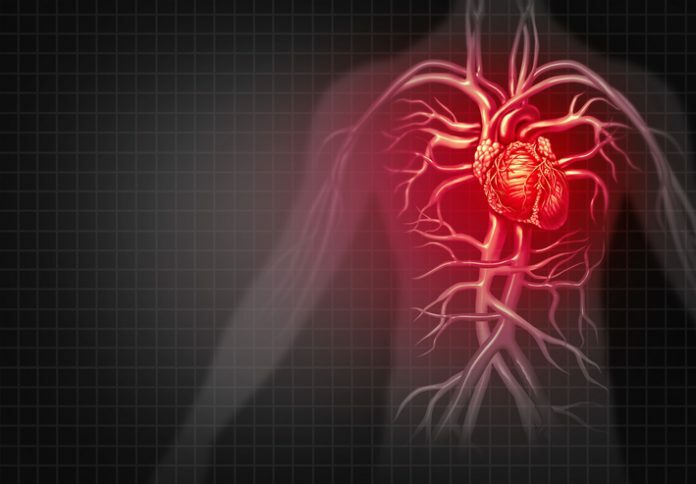 “Our results provide convincing evidence that the polygenic risk score could be added to the genetic investigation of patients with very early coronary artery disease,” explained lead study investigator Sébastien Thériault, M.D., assistant professor at Laval University and a researcher at the Quebec Heart and Lung Institute. In rare instances, high blood levels of the so-called bad cholesterol, low-density lipoprotein (LDL), result from a genetic defect called familial hypercholesterolemia (FH). Patients with this genetic defect are at increased risk for early-onset heart disease, defined in the study as before age 40 in men and age 45 in women, so early diagnosis and treatment are critical. The problem is that many patients with early-onset heart disease do not have this single genetic defect, which can be measured by current tests. In this new study, researchers looked at the relationship between a risk score based on multiple genetic differences and early-onset heart disease. The results showed that the polygenic risk score predicted a high risk for early-onset heart disease in 1 out of 53 individuals at the same level as FH does. The prevalence of FH is 1 in 256 individuals for the single genetic test for FH. For the current analysis, the investigators developed the polygenic risk score based on 182 genetic differences related to coronary artery disease. Subsequently, they then compared polygenic risk scores between study participants with and without early-onset heart disease. Study participants included 30 patients with early-onset heart disease seen in the investigators' clinic from 2014 to 2016. None of the patients in this study with high polygenic risk scores had the single, rare genetic defect for FH. Ninety-six patients with early-onset heart disease enrolled in the UK Biobank study between 2006 and 2010 were also tested. As controls, the scientists included 111,283 UK Biobank participants without early-onset heart disease. Forty-seven percent of the UK Biobank participants were male, and their average age was 58 years. The UK Biobank is a large study in the U.K. looking at the relationship between genetics, the environment, and disease.